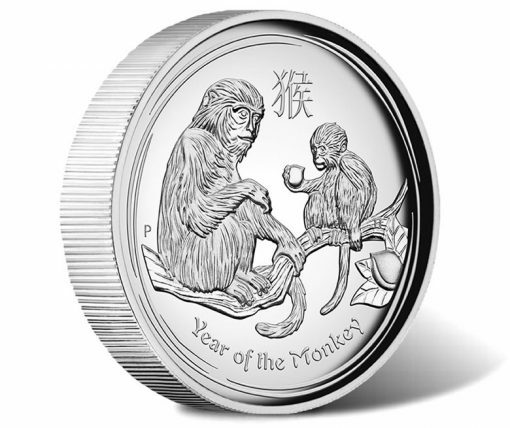 November releases from the Perth Mint of Australia encompass several new silver coins with subject matters ranging from Year of the Monkey to Star Trek: Enterprise. 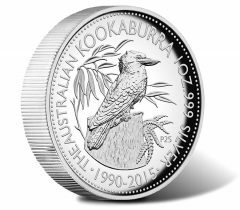 In addition, high relief offerings include a five ounce wedge-tailed eagle coin and a three-coin kookaburra, kangaroo and koala collection. Brief information on these and other November Perth Mint products are below. 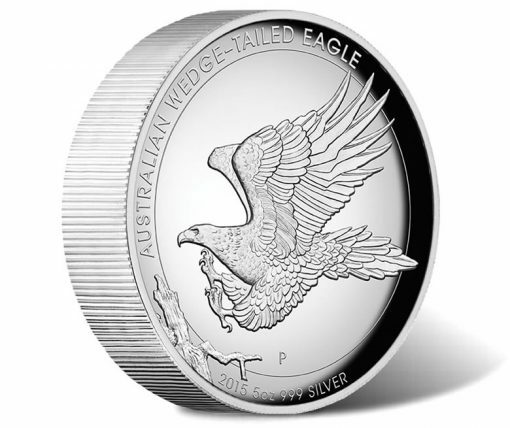 Struck from five ounces of 99.9% pure silver in proof quality, this high relief coin offers the likeness of an Australian Wedge-Tailed Eagle. The design, depicting the eagle as it is about to land on a tree branch, is the work of former U.S. Mint Chief Engraver John M. Mercanti. The Perth Mint indicates that no more than 2,500 will be sold. 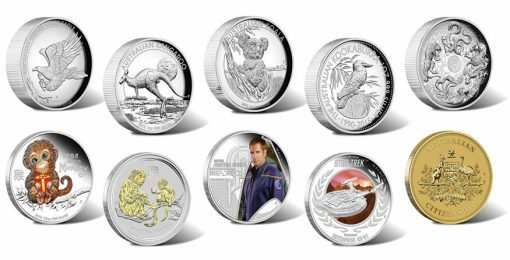 Each ships with a Perth Mint display case and a numbered certificate of authenticity. An adorable baby money appears on this 50-cent silver coin. Holiday-themed, the monkey is shown holding a present. Each is composed of one-half ounce of .999 fine silver, struck to proof quality and is legal tender of Tuvalu. No more than 7,500 will be sold. Each ships in a display case with an illustrated shipper. 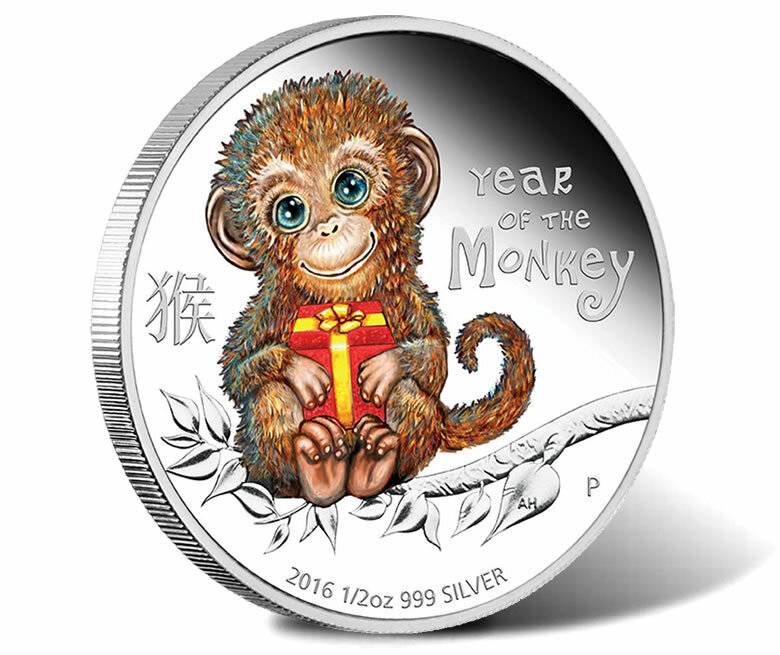 Like previous 2016-dated issues in the Australian Lunar Silver Coin Series II, an adult and baby monkey is on this newest coin. However, the coin’s larger thickness makes it possible to press the design in high relief for more detail. 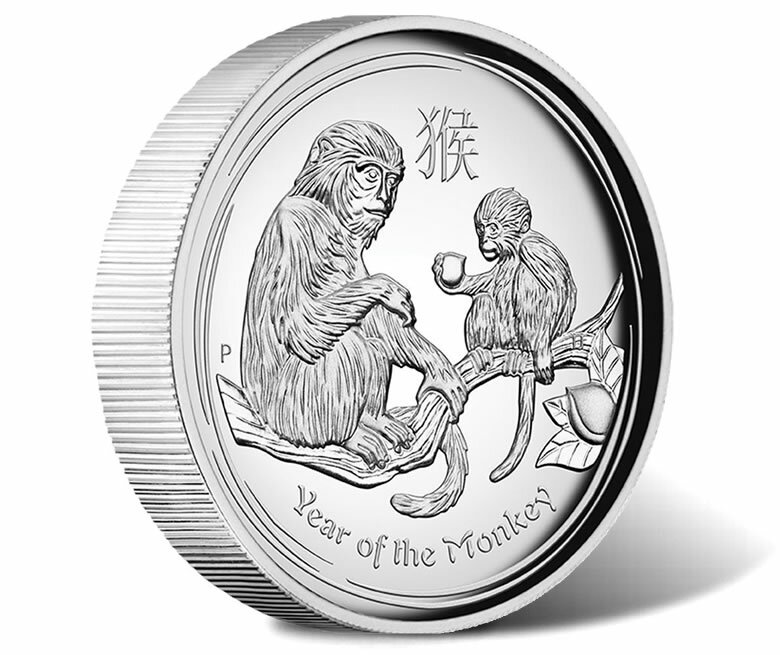 Mintage for the 99.9% pure silver coin is 7,500. Each ships with a Perth Mint presentation case and a numbered certificate of authenticity. This edition of the coin lacks the high relief as just described above but it does offer a design with the two monkeys highlighted in 24-karat gold. 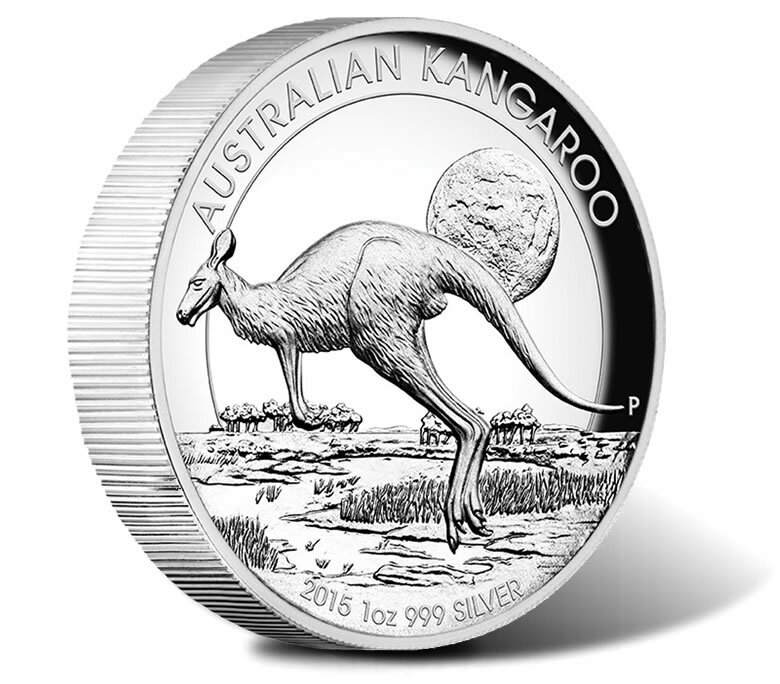 Options for the 99.9% pure silver coin include one within a presentation case or one in a capsule suitable for inclusion in the 12-year collection case for Australian Lunar Series II gilded coins. The issue limit of the coin in case is 47,500. The coin’s maximum mintage is 50,000. An annual series continues from the Perth Mint of Australia with the 2016 Australian Citizenship $1 Coin. 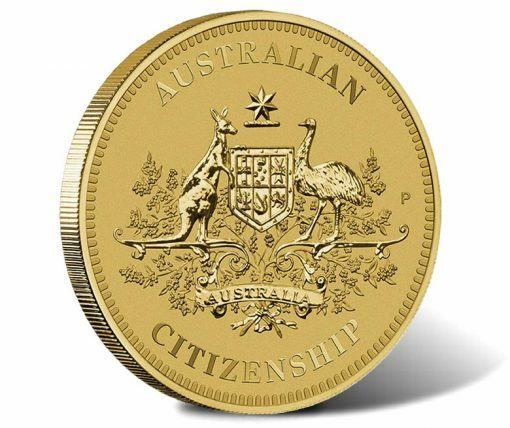 These coins celebrate the ‘Pledge of Commitment’ in becoming new citizens of Australia. Coins are composed of aluminum bronze, issued in uncirculated quality, and minted to meet demand. Each is housed in an Australian-themed presentation card. 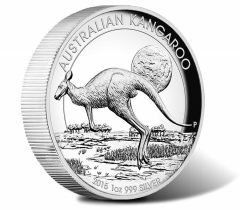 Three of Australia’s most iconic creatures appear on the strikes of these three high relief coins. They include a kookaburra, a kangaroo and a koala. 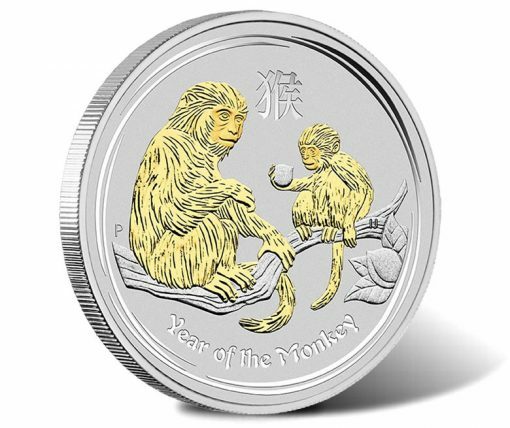 These coins are composed of one ounce of 99.9% pure silver and struck to proof quality. This collection is limited to 1,000. 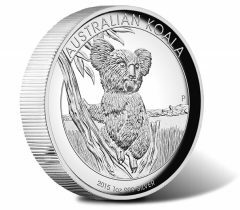 As the coins are available individually, maximum mintages are 20,000 for the Kangaroo coin and 10,000 for the Kookaburra and Koala coins. Coins of the collection ship together in one three-coin display case along with a certificate of authenticity and an illustrated shipper. Star Trek coins from the Perth Mint debuted earlier this year with strikes depicting Kirk and his starship Enterprise NCC-1701. 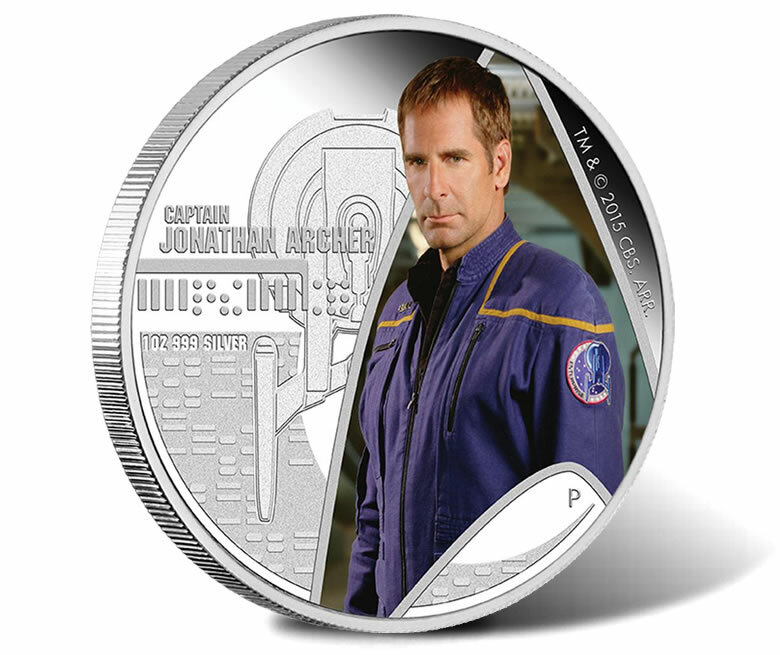 Since then, coins have been issued following the progression of the science fiction franchise to include the Next Generation, Deep Space Nine, Voyager and now Enterprise. As we wrote about earlier, these newest one ounce 99.9% pure silver Star Trek coins portray actor Scott Bakula as Captain Jonathan Archer and depict a likeness of his starship, Enterprise NX-01. Coins are available in a two-coin set or individually. The two-coin set has an issue limit of 1,500 and comes in a unique display case designed to look like a Star Trek transporter. 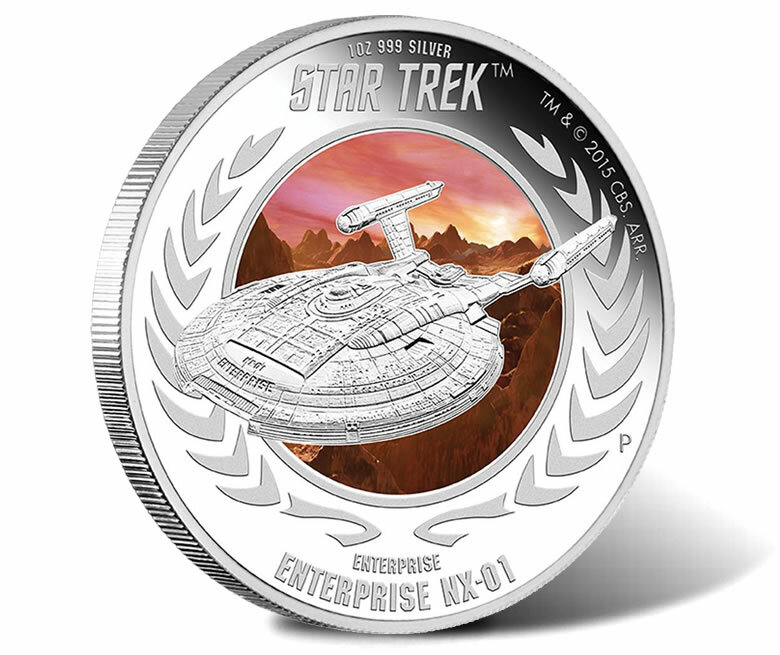 Individual coins have an issue limit of 5,000 and ship with a different Star Trek inspired case. 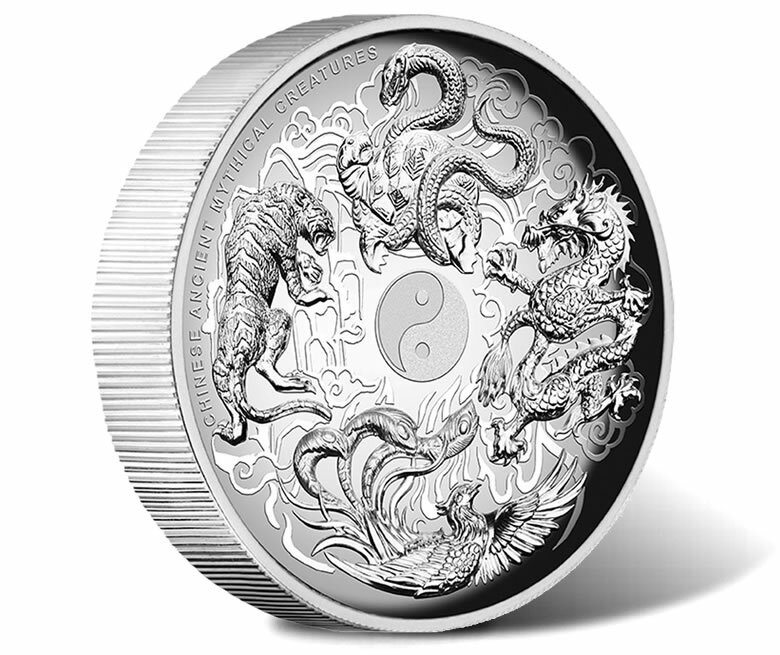 Four Chinese ancient mythical creatures encircle a yingyang symbol on this high-relief coin in one ounce of 99.9% pure silver. We also wrote about this coin earlier. It features a white tiger, black tortoise, azure dragon and vermilion bird with each representing a direction and a season. The collector proof coin is legal tender of Tuvalu and has a limited mintage of 5,000.